Payments technology firm CreditCall has joined the Smart Card Alliance’s EMV Migration Forum, a cross-industry group aimed at supporting the U.S. payment industry’s transition to EMV chip cards. 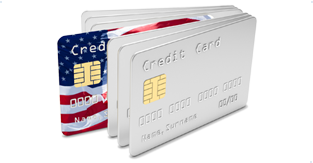 CreditCall has helped implement EMV technology in previous transitions to EMV chip cards in Asia, Canada, Russia, Europe and the United Kingdom. It has deployed more than one million of its EMV Kernel software products for Chip and PIN and Chip and signature terminals. These Kernels are used for both contact and contactless applications in a number of payment environments, including card readers POS, ATMs, gas pumps, kiosks, ticketing terminals, smartphones and tablets. The EMV Migration Forum is made up of payments brands, issuers, processors and industry suppliers. The group is designed to aid the transition in America, which is the last of the G20 nations to implement the EMV chip cards.